In the latest written episode update of Ishqbaaz 23rd November 2018, roop gets exposed. As we know that in the Tv serial of Ishqbaaz there is a high drama is going on. For those who love the drama, they did not miss today’s episode because today’s update is fully dramatic. 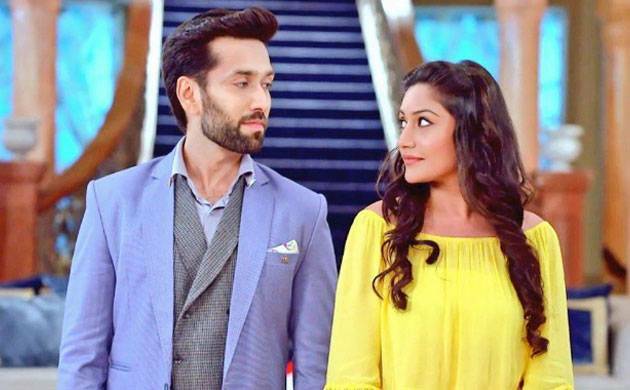 Today’s update Tv serial Ishqbaaz begins with Roop goes to get the oil. She looks for a bottle. Shivaye asks what are you searching this. She asks Shivaya that what is it. He replied you will know it now. Roop said to Shivaya- have you gone mad, don’t to it. She shout again very loudly have you really gone mad. He goes to light the chemical. He throws the liquid down. He said to her that it does not contain what you have thought, it is the same bottle which you ordered on Rudra’s name. He recalls that the billing address was on Roop’s name. he said that I have removes the explosive content and can add water to it. That is why the explosion did not occur. Why did you do this he asked this to his Bua. She said what are you saying, she is saying this in a very shocking way. He said that you want to listen to it from me, you tried to take my life. I saw that you finding with the wires, you put the live wire in the under of the swimming pool. I saw that you before falling into the pool. I also saw that the almonds fell there. She asks that what are you saying. I returned from the temple when Rudra pushed you into the pool. He said you have been trying to create the misunderstanding. You instigate Rudra against me, when he did not come in your words, you have done this. Doing the puja was not Nani’s plan. I have sen you and knew that you will do something during the puja. I have a few close people in my life. Precap: Shivaye said that I wanted to tell you, that you are the pole star of my life like it stays still. You and your belief were still, I promised you, none can replace you in my life. Anika hugs him.